Pretty sweet selection- hearkens back to the days of Stockton/Malone, Barkley, Reggie Miller, Jordan, Alonzo Mourning, and a young Steve Smith in Atlanta. Wise selection to stay with more recent unis that younger fans can relate to. 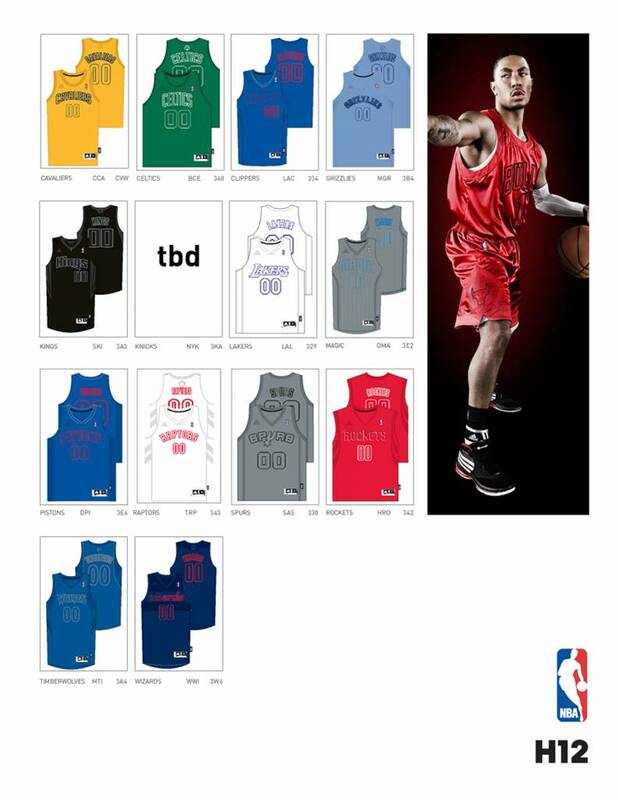 The TBD in that photo is reserved for The New York Knicks who are rumored to be getting new unis next season. Early word is that black will be removed from all uniforms, and the wordmark will be a little higher up. In the NBA Store right now, every Knick jersey is on sale in the outlet, and the Jason Kidd Knicks T-shirt shows off the new font and logo. 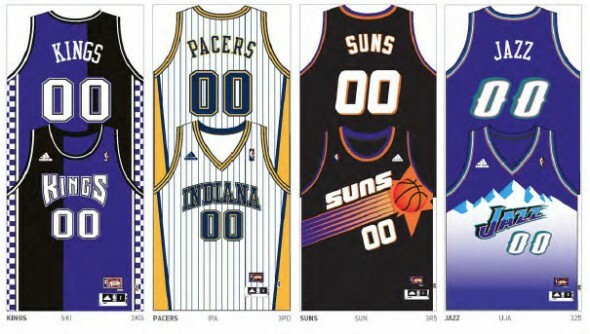 So look for BOTH New York teams to be sporting new uniforms as they fight over new fans AND jersey sales next season. 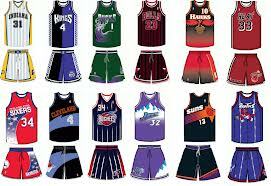 The debate is also raging now about the addition of ads to uniforms starting in the 2013-2014 season. Lets not start what European sports have ruined with sponsorships- the purity of the jersey and the game. 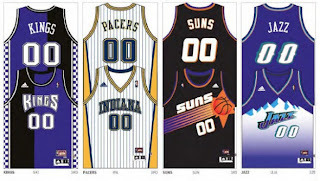 With companies changing every few season, the uniforms would follow suit and that is what separates American sports from the rest of the world. 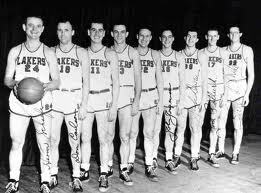 Just say no, Commissioner Stern. And finally, after signing Andrei Kirilenko, Alexey Shved, Greg Steimmsma and trading for Chase Budinger to play along side Kevin Love, Luke Ridnour, Ricky Rubio, Nikola Pekovic, and JJ Barea, Minnesota has taken the gold medal for the WHITEST. TEAM. EVER. They will also be changing their name to the Timberwhites.